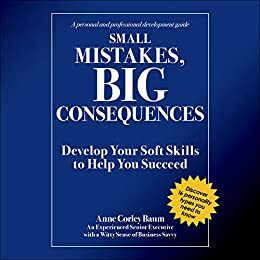 Small Mistakes, Big Consequences is a lighthearted look at the top 16 business mistakes that people make without realizing the potential consequences. Learn how to identify these common character mistakes that can make or break your relationships. Avoid making these mistakes yourself and learn how to work with and manage these personality types.